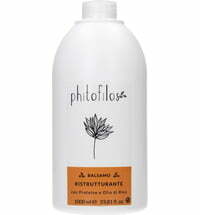 The Phitofilos Clarifying Peeling provides a deep cleansing and refreshing effect that frees the scalp from dandruff as well as dirt. 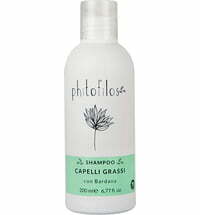 The formula is targeted toward a scalp that is prone to oiliness and dandruff. Microgranules from apricot seeds provide a deep cleansing effect. 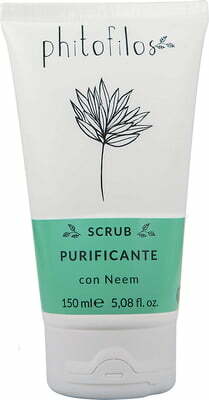 The peelings contain organic plant extracts obtained from neem, nettle, rosemary and lavender that regulate sebum, clarifies and soothe the skin. Its allergen-free scent is fresh and pleasant. Apply to wet hair and massage to cleanse. Leave on for a few minutes and rinse thereafter. 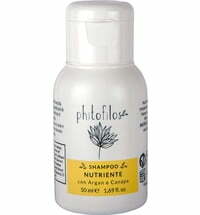 Phitofilos Sinergia Nourishing Shampoo "Golden Drops"
Phitofilos Sinergia Mild Shampoo "Water Drops"
Phitofilos Sinergia Restructuring Conditioner "Silk Drops"